Sometime in the past two weeks I was working on No Debt Plan with the TV on in the background. We happened to have the channel on HGTV, and the show “My First Place” was on. I also happened to have it two nights ago when I was writing this article. As you might imagine, the show is based on the premise if helping first time home buyers find that perfect first home. It also is a great opportunity to show off some really, really bad decisions. After watching the show, I can see exactly why we have a foreclosure problem in the US right now. (Photo: Four letter word by Justin Shearer). The first episode included a married couple that lived and worked in Seattle. Combined, the couple earned $100,000 per year. As the show unfolded, I started to sigh to myself. Apparently, this is going to be frustrating to watch. They visited several properties ranging from single detached homes to condos. Their original budget was, if I remember correctly, $230,000 to $250,000. They didn’t like the condo because it felt like they were living in an apartment. I don’t blame them — we didn’t like condos/townhouses we visited either. Of course, they saw a few options that they always found something wrong with. Either the commute was too long, or the grass wasn’t just right, or (name your excuse here). So they started to look at houses that were more expensive than their budget. The couple did a whole slew of things wrong that really disappointed me in the show. You’d think instead of just taping a disaster-to-be that the show would offer some advice. Apparently not. They ended up with a $262,000 house, a 6.75% interest-only mortgage. Unbelievable. They were not pre-approved for a mortgage, so they were shopping prices that they did not know they could get a mortgage for. A pre-approval process would help them figure out what they could afford on a 30 year (or 15 year) mortgage. They had no savings. None. If you are making $100,000 per year and have nothing to show for it, something is seriously amiss. The mortgage they chose was terrible. The broker or lender they chose should be ashamed of themselves. They even laid out the numbers on what a fixed mortgage would be, but going to interest-only would save them $200 per month. Of course, they will never own their house, but they said they would pay extra in principle after they were settled. Coming from people without savings, I highly doubt it. They spent above their target budget. They ended up in a $262,000 house and the target price was $230,000 to 250,000. Of course their initial expectations may have been unrealistic. I think that is fair to say with most first time home buyers. But they still spent above what they targeted on the high end by $12,000. That’s no small amount of money. The second episode was fairly similar. It featured a single woman in Atlanta that was trying to get out of her apartment. She worked as a personal assistant and was starting an event planning company on the side. She connected with one of her sorority sisters that was in real estate. Her target price was $250,000 to $260,000. The realtor took her from house to house, and of course there were things she didn’t like about the houses that were in her range. She settled on a $265,000 house and offered $262,000 with the seller paying closing costs. As she signed the offer sheet, she became very nervous about being able to afford the payments. She was hoping she could be approved for it. Again, no pre-approval letter showing what she could afford. She was lucky because she lost her job before she got the house. Imagine moving into your house the day you lose your job. This isn’t entirely her fault, but there were still several mistakes she made along the way. Overall, I am disappointed that the show doesn’t offer any advice to the first time home buyers. Instead, they seem to just document what is happening. Get pre-approved for a 30 year fixed mortgage. Don’t consider any other options except a 15 year fixed mortgage. None of that interest-only or ARM junk. Save for a down payment. The market will probably require a 10% down payment for most areas these days. We only put 5% down, but we are rapidly paying down the principle on the mortgage to get to 20% as fast as possible (currently at 7-8% in 6 months — not bad). Putting down just 5% may have been a mistake for us as well. I’m not saying we’re perfect. Consider all of the costs involved. The mortgage and realtor fees is just a starting point. Don’t forget the cost of moving, closing costs, and furnishing the house. If you live in a one bedroom apartment and buy a three bedroom house, you now have two extra rooms to furnish. Throw in lawn, garden, and patio furnishings and it really begins to add up. I just had a very personal experience with this. It is a lot easier to say you should do all the right things… but when emotions start to take over and you want that perfect house – you might do almost anything to get it. But these are all good tips! It’s just hard to follow all the tips when buying a home. JB — Exactly. That’s why I would expect the show to kind of put a damper on things and walk the people through the process rather than just taping what happens. I know, we went through it too this past summer. I have been reading your blog for sometime, came across it from Get Rich Slowly and like your writing style. I decided to post because this topic is very interesting to me. My wife and i were married for about 7 months when we moved into our condo and i feel like sharing my story with you, the complete opposite from what is talked about. I hated living in an apartment and one day came home and told my wife we could get into something of our own. She did not believe me but when i ran some numbers for her she caught on. At the time we were making around 34,000 a year. I was in school and working about 40 hours a week and my wife was not working a full forty hours a week yet. We got a realotor and got pre approved with a lender. She pre approved us for 130,000. I thought that was good and we started looking. We both really wanted a house but after looking realized a condo was going to be our best bet. We looked and found one that we liked, it was a two story townhome condo. It was listed for around 105,000 and was a rental property so it would need some fixing up, which i am able to do. I told my realotor several times that we liked the places she showed us but it would break what i feel we could afford, she respected me for that. She worked long and hard for us but we love our place and it was something we could afford. I feel that at times people looking for there first place want it to be there dream home, ours is far from it but we like what we have. It was a place that was better then paying rent and a place that we could see some equity out of, some units have sold for about 25,000 more then what we bought ours at and some are not even updated , which we have done some updating and plan to do more this year. I have seen commercials for that show and i really don’t think i could watch it for the reason how people are to picky when looking for there first place, i understand you need to be but also understanding that it is your first place and more of what you can afford. A year after buying our place i was in a better job and we are able to afford our place and have a few nicer things and we feel that is because we bought below our budget. I have also seen the show and have seen the exact scenario you describe where the buyers are scrambling for financing. The first episode I saw was a little better though. It was a single mom and she did have a pre-approval letter. THe letter was for around $115k or something (houses in that area were not nearly as expensive as many other areas). She evaluated her budget and felt she could only really afford around $90k though because she didn’t want to be cash strapped and not have money for a repair or emergency. She did find a house in her range and stuck to her own lower budget. Kudos to her! I have to say I’m a fan (for lack of a better word) and watch the show frequently. Almost all of the episodes are just like that, but watching it makes me even more sure of how I want to go through the buying process and buy something I can afford. My Fiancee and I watch these types of shows when we come across them on the guide. We like them for the entertainment value. I’m in the middle of major house envy, but watching this show reminds me that it’s worth waiting and saving a down payment. Did anyone see the one where the guy was financing his fiance’s dream home by himself (fiance had bad credit)and the company that pre-approved him went out of business? He kept trying to talk her into something smaller and she kept insisting on the mega home. Finally! Someone else sees this madness. My wife and I are avid HGTV watchers and this show constantly perplexes us. I agree, they need to have an update show to see how these nuts have over extended themselves. @Emily: Glad to see you agree and can take lessons from it. I just saw an episode of My First House featuring a young woman in Atlanta looking at $350k+ homes ! This is her first house ? OK, maybe she has wealthy parents or a really fabulous job, but I wonder why she didn’t own property already, she appeared to be in her 30’s. She ends up buying a $385k home, then freaks because it’s going to cost her $5k to terminate her apartment lease early. As if this weren’t strange enough, she closes on the house and the voice-over states that she got a 6% 30 year fixed mortgage with ZERO down !! Even right now she couldn’t get a mortgage like that ! Did HGTV pay points ? They furnished her house, at least the living room. The last scene shows her painting … she said she wanted a home with studio space, is this her job ? She’s an artist ? Something is just horribly wrong with this episode, so it’s interesting for me to find this page and see that it’s not an anomaly. I saw this television show for the first time last weekend and this is a great show to showing you what NOT to do when buying a home. I watched a guy purchase a house where his mortgage was 57% of his take-home pay. I couldn’t believe it! I thought they were going to guide the buyer into an affordable home and help him make good decisions. It is no wonder foreclosures are on the rise. Great post but I’m going to disagree slightly with #1. Much like you argue that credit cards can be used responsibly, so to can ARMs. The key is to NOT use an ARM to get into a house. If you can’t afford the house unless you get an ARM, you can’t afford the house. 5 years ago I bought a condo with a 7 year ARM at 4.5%. I could have easily afforded a 6% FRM because I bought less house than I was “qualified” for, but I took the ARM because 1) I didn’t plan on staying in the home for longer than 7 years and 2) I knew I would tuck away the mortgage savings (and I did). 3 years later I sold. @Cloudy: I think there is a big difference in using credit cards responsibly ($1,000-$2,000 per month charged) and buying a house in the six figures with an ARM. However! You do have a valid point. If you do as you say — save the difference, be able to afford a higher payment if it resets, be able to live there if you can’t sell, etc… then, knowing the risk, you can make an informed decision. The problem with ARMs, which I suppose is also true of credit cards, is people don’t use them correctly. I think that is the fault of both the lender and the borrower. I guess you could say the same about credit cards, but with the amount of money involved with the ARM… phew. I love this show, watch all the time and always comment to my fiance about teh same exact thing as the author of this article (and always amazed how much house you can get for the money outside of southern california). Easily the funniest episode was Hawk.. that was his name right? Wasn’t pre approved, no credit, had no idea about the buying process; just knew he wanted a big house with a cat-walk… “bigger the better”. Ended up losing two places before finally getting some place a year later or something. Wonder where that guys at now? Did liek his attitude though, a go getter.. had no idea he was doing but wasn’t afriad to try. spooky….house fever is worse than car fever—they can infect anyone! Good guidelines, but you know I’d be even more conservative. Sandra- I watched that episode too and thought the same thing. I also saw the one where the young woman lost her job right before closing on her dream home. I really wish they would do a follow up story on some of these people to see how things are going for them. When I purchased my first home I had a budget and was determined to stick to it. No one believed I could find the home I was looking for in a nice area for my price range but they were wrong. It took almost a year for me to find my home but it was worth it. I am very comfortable with my mortage payments and I encourage others not to over extend themselves. Kevin-thanks for this posting I am forwarding this to my friend that is in the process of purchasing her first home. Seriously, who besides millionnaire’s children can afford to spend $350k on their first house? This show is absurd. Most people will never own a home that expensive in their entire lives. This is part of the reason for the foreclosure problem. Too many people are trying to keep up appearances by living well beyond their means. Often times on the show, before the deal is closed, you see the couple stressfully crunching numbers and a few times I’ve seen someone drop out of college to go back to work to help pay the mortgage. Logic would seem to be, buy a cheaper place and use those savings later to customize. Not that I’m disagreeing with some of the points made about the show, but people seem to forget that the real estate market is very different across the country. “Seriously, who besides millionnaire’s children can afford to spend $350k on their first house? This show is absurd. Most people will never own a home that expensive in their entire lives.” My family is middle class and my parent’s home was worth about $350k in 2005. Of course it’s not worth that much now and wasn’t when they bought it. The average home value in MA was $350k in 2005. The factor people forget about is that regions that have higher average home values usually have higher average salaries as well. I don’t now, nor ever have owned my own home, but watching these shows, I wonder who the blazes let these people think that their first home w/no children should be a 4-5 bedroom, 2-3 bath house that costs anywhere from 4-6Xs their earnings and most don’t EVEN have 10% to put down let alone the money for closing costs, etc. They keep talking about how they can use the ‘extra mortgage $$$$’ they get for fixup or furniture. Hmmmm? I didn’t think a bank or mortgage company gave you ‘play’ money if it wasn’t part of the actual mortgage. Anyway, if people realized this is TV and that many of those that bought at such high costs and such huge homes, 1) don’t know how to take care of them; 2) won’t keep them for a long time in the end anyway; 3) can’t afford them because they didn’t count on the additional (you know, taxes, PMI, and all the additional costs added to their actual mortgage payments) each month. And the garbage, water, utility costs, oh yeah, their personal costs too like food, clothes, any entertainment costs. Wonder how many still live in their homes today or have lost them to foreclosure because they went too high on the mortgage? Got to remember, realtors push the higher end of your price point because that gives them a bigger commission. So when you get a realtor that keeps showing large/high price point homes, they are only looking for a bigger commission. They aren’t looking for something as a ‘starter home’ â€”whatever happened to starter homes anyway. I was watching “My First Place” and the real estate agent told the potential buyers, “I am working for you.” She is not working for the potential buyers of the home….she is working for the sellers. Who does she think pays her commission? It sure doesn’t come from the buyer, it obviously comes from the seller. All real estate agents out there listen to this….YOU WORK FOR THE SELLERS. …..NOT THE BUYERS….” I realize the buyers are your clients, but you do not work for them…you work for us….the sellers. Why didn’t the editors take that out? Poor copy….I will still watch the show even though it was a poor statement on the side of the real estate agent. Kathryn, I totally agree with you. I think I saw the same show. It bothered me too. I have a home up for sale right now and if I overheard an agent telling their sellers that they work for them, I think I would have said something to them. I agree with telling all agents that they work for the sellers. We are the ones who give them their commission anyway. I’ve seen a couple of episodes of this show and House Hunters to realize one thing that irritates me. The buyers are such whiners! They start off saying that want certain things within a certain budget but as the shows continue they go for something completely else. They nitpick over things that can easily be changed or the one that really gets me is the dining rooms. Most of the people wanting a dining room don’t have children, are planning on having parties not dinners, or buying vacation homes. I like to watch this show when I feel like venting at the tv. I think part of the reason the people on these shows go over their original budget is because of the public viewing of the show. They don’t want to come off poor. Also the people after breaking their budget go for inspections where they find out their home has a few problems. I just got done watching an episode where during the inspection they found a few tiny problems and one of them was a mouse trap in the wall. The trap was old, had not even been activated until that moment, and the women about backed out of the home! Maybe I’m a little country but that really is not a problem. The first home had the walls coming apart due to water damage. Now that is a problem. I love how the vacation home buyers are wanting these big 5 room places for cheap on the ocean with a view. Reality check! Many of these are couples have no children so why do they need the extra rooms? For their friends who are going to be able to come down to visit of course! Nice idea but not everyone can afford to fly down every weekend or summer to visit you. It is a vacation home! You are going to be out and about enjoying the culture not staying at home. You do not need that much space. Nor is it necessary to have a pool when you are right next to the beach. There was a couple who went with a condo on the beach that was under construction and was over their price range. They overlooked a 4 bedroom home large open living room, library, pool, balcany and low in the their budget because of three things: small dining room, 1 block way from the beach and the house was painted yellow. Who would have thought to paint a house yellow in florida? Thats not including the families that get vacation homes. Many of these families have to work all year long so I see no point in getting a vacation home in a foreign country with kids. They pick homes that are away from civilization so their teenage kids are cut away from society with nothing to do. Except swimming and that gets old really fast. Why get a vacation home that is so expensive, away from everything that the country offers, to only spend maybe 2 weeks there? You could rent a place instead for less because they are not adding in the fact you have to pay someone to watch the place while they’re gone. They also plan to rent their homes out. I have an aunt who rented out her home their house was gutted because the caretaker did not care about what was going on. And that is in their own backyard! The children have no say in these homes which is a place they will be having to stay for periods of time. Can we say broody kids? I have yet to see the parents ask about schools in the area for the children they are planning on having. Many of the buyers on these shows are also doing multiple tasks while buying their first homes. The earlier mentioned mouse trap woman was getting married in 30 days from the buying of the home. In all honesty you should avoid trying to buy a home while in any kind of stressful situation. Marry first then buy a home or the other way around. Don’t plan on having kids and buy a big home have one kid first. You may not be able to have kids or want more then one. Thats just a few of the problems I have with these shows not including the budget issues that have been already addressed in earlier comments. These shows need to have a follow-up to their follow-ups. I would just about bet many of the people have either lost their jobs, divorced or something else entirely. The people on these shows need to do their research first, go through the pre-approved morgage process, SAVE MONEY, and then visit the realtor’s office. Don’t trust the realtor because he is after the money not your happiness. 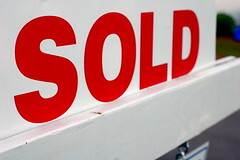 Get your own selling prices of local houses that have sold recently. Dreaming about your perfect home is what got you motivated leave it at the door when seeing the homes available. They will never match up perfectly unless you build your own from scratch. Also read the paperwork. There is a reason they give it to you with your own copy. These shows should offer help and advice instead of decorating an area of the buyers’ home. They may not like the style since they are all so nitpicky. Sorry about the venting. Ironically, I came across this blog as I was Googling to see if there was a follow-up to an obvious “foreclosure-in-the-making” episode of “My First Place.” A young couple with three children under the age of six decided to buy a home once they learned of a grant program that would cover their down payment (the gov’t shares some blame in this mortgage debacle). “Who wouldn’t pass up free money?”, says the wife…SMH!! Well, the “free money” dries up and and instead of walking away, the agent refers them to a mortgage broker (“by coincidence” a friend of hers). Long story short, the mortgage broker “helps” them out by raising their interest rate from 6% to 6.5%, which in essence makes them finance the $11k down payment they were supposed get through grants. The broker goes on to point out this rate increase only adds $59 a month to their mortgage..so doing some quick math, adds up to about $21k additional money paid during the life of the loan, with the financing based on the full price of the home. Clearly, the agent and the mortgage broker knew they were not dealing with buyers who were savvy on these things. They closed the show with this gem: the husband mentioned that their rent payment was $800 (and they weren’t able to save one dime for a downpayment) now their mortgage payment is now $1424 a month!!! What banker in his or her right mind approved this mortgage??? Where was the additional $600 a month supposed to come from when this couple is apparently living on every penny they make, right now??? When will this madness stop??? I’m watching the show now. A couple, Angie and Aaron, are looking for a home in Northern Cal. (Santa Rosa). They live together, but aren’t married. The house is going in her name only, he’s taking care of the downpayment, and they are splitting the mortgage 50/50. She’s approved for $300K, and has $15K savings (for emergencies). Her ‘MUST HAVES’ are: 3 bedrooms, 2 baths, fenced yard, open floor plan, hardwood floors. They start off by looking at places ABOVE their price range with the thinking that they will be able to ‘strike a deal’. House #1 is $339,500: The living room ‘has an awkward shape’, the kitchen appliances ‘don’t match’, and there’s only one eating area. They would ‘deal with’ the tile countertops in the bathrooms. She’s not willing to compromise with the small backyard. Too many ‘deal breakers’. House #2 is $325,000, 1400sqf. Right away they don’t like that it’s on a main road. The first bedroom is ‘too small’ and has a bush in front of the window. The bathroom isn’t to ‘their taste’. The master closet isn’t big enough, and the room isn’t big enough, and they don’t like the bathroom. It has a pool, but they don’t want to do the work to maintain it. They talk, Aaron says that she is setting herself up for disappointment in the $340K price range. They should go down to a $300K fixer-uper. She says, “I’ve never even painted before!” He says, they could do 99% of the work and save a lot of money that way. She asks if the $2K they have saved enough. He says that it would be a start, and enough to get them into the house living comfortably. She’s kinda freaked out. House #3 is a fixer at $299K short sale. She’s disappointed that there are not wood floors. She wishes there were granite countertops in the kitchen. First bedroom is ‘really small’ and needs an updated window. The first bathroom is ‘real bad’. The master is more promising, and she is willing to make some changes. Bathroom 2 is better. She is more optimistic by the end. They’re are 2 other offers on the table for #3. The realtor explains what a short sale is. Other properties in the area sold for more. They ask for closing costs to be covered, and offer $300K. 4 months later….they got the house without covering the closing costs. Inspections report the roof needs to be replaced. There are termites in the foundation, and it needs fumigation. They have $9K in repairs. They only have $15K in savings, and are asking for $9K in credit from the bank. The bank won’t do anything for them: AS IS…… They went ahead and purchased it for $299K, $1,982/month. They got the house fumigated, but will wait to fix the roof. Between the repairs and closing cost, this couple is screwed. God forbid one of them loses their job, or if they break-up. What the hell is she going to do, since the house is in her name only? She now has (if the roof gets fixed) $2K in savings??!! That’s one month’s mortgage. It amazes me what people get themselves into. I just saw this episode too and I totally agree.with you…never buy anything solely in your name if you can’t afford it on your own.. I just saw this episode on re-run and didn’t catch these specifics. Aaron put down $15k on a $300k house? That would be just 5%. What kind of mortgage did Angie get? It’s actually a bad deal for Aaron because he’s putting in money and labor and getting no equity. That house has appreciated 20% just this past year. It was good deal for Angie. Would you die right after? that is what most people think even if they won’t say it. Yes.. I understand it’s a goal….Someone once wrote sometines you have to give up one thing to get something better. The goal in my life is just to be confortabe if you must be rich… I guess you have to take the chance and do it….I just know it’s not for me.. If I could think of a way to get rich and don’t think I’ve not thought long and hard about this subjuct as most people have. What then? I would be too afraid to tell anyone nor spend to the point I could enjoy it enough to be happy. ????? care-ma be provided with the things that can done for you. Myself my spoon was niegther gold nor silver. (Who Knew) even though my great idea’s could have landed a wonderful briecase payout, their is always two to five with their hands in the pot. (Who Knew) It’s always others that break off the excess anyway. Why bother…. Just for the entertainment of seeing it work for a few years…. Then what? You find yourself right back were you started. Trush me stuff happens. But enjoy the ride… sometimes it can be a blast…. but if it herts too bad … don’t be too proud to back-off… and just cry…until it feels better. Agreed! New home owners also need to be realistic about what their price point will actually buy. I am always amazed by the people who up the price of their loan simply because they believe that they can not live with fore-mica counter tops or vinyl tile. Shows such as this make it seem like granite counter tops and other expensive updates ought to be the norm in all houses, when truthfully the vast majority of people do not have such luxuries– Not only do they survive, they thrive. Yet these first time home buyers with modest budgets can not live without buying a home that they can not really afford? It seems rather spoiled to me.